The GSG 1911 Target Pistol is the next step forward in the world of GSG. 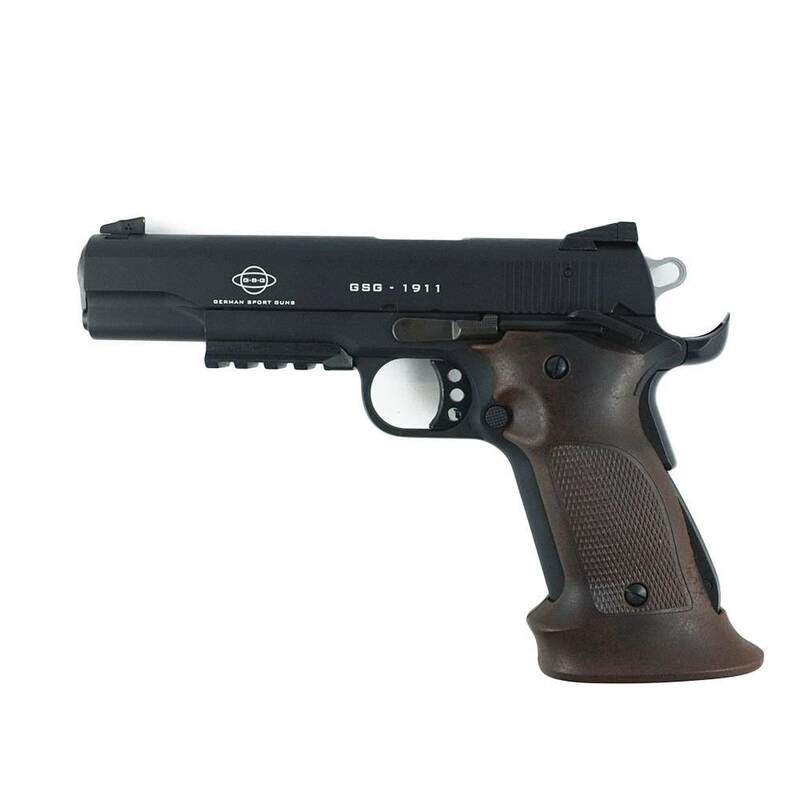 Building on the massive success of the Standard Tactical GSG 1911, the ante has been upped with this model. The GSG 1911 Target model comes standard with the GSG 1911 platform, a tactical rail underneath the slide and a newly introduced set of GSG Target Grips made with a moulded wooden composite.